Geek-related radio shows and podcasts have dominated the airwaves in recent years, as people come to accept that its not just part of our culture, it's taking over the culture. The downside of which is that newer shows popping up are having a harder time finding an audience as everyone seems to be discussing the same material. And you'd think it would be a greater challenge in Utah as we have seven different shows catered to all things geek, who have dominated and split up their audience shares like a game of Risk. But there's still room for growth, as we talk about the newest show to join the battle for listeners. --- Dungeon Crawlers Radio got its start as two friends wanting to start a podcast about role playing and comics, watching their listenership boom overnight with people who couldn't find any other show covering the topics as in-depth as them. 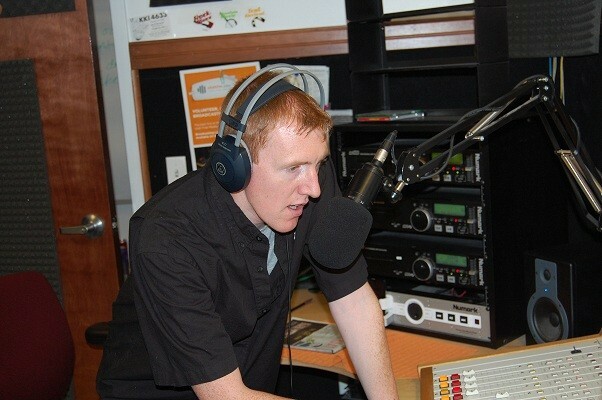 And in the process of trying to find a home on terrestrial radio, an opportunity popped up at UtahFM to bring the show over for a three-hour stint every Monday night, helping the show continue to prosper. We got a chance to chat with the three men behind it, Revan, Malak and A Guy Named Joe, chatting about the show's origins and its move to community radio, plus their thoughts on localized geek. Revan: What is there to say? I am an average guy that grew up liking comics, “Transformers”, “Thundercats”, “GoBots”, “Teenage Mutant Ninja Turtles”, fantasy books, dragons, and so many other things. I have work in the IT Industry for the last twelve years, because after getting out of high school I was told I needed to get a real job that paid the bills. Because my dream of being on the radio was a foolish one! And now here I am pursuing my dream many years later, and drug Malak along for the ride. Malak: I'm an active nerd though I don't look it. I like to bowl and throw darts and be an all around geek. I love role playing games such as Dungeons and Dragons, Comics book heroes like Captain America, And my exceedingly romantic relationship with my Xbox 360, and my favorite food is everything Bar-B-Qued. And I mean EVERYTHING!! A Guy Named Joe: I've been openly embracing my geekness for the past ten years. It stared with role playing games but then branched out to video games and comic books. That when I discovered my true geekness came in movies and professional wrestling. I also enjoy watching watching adult Swim, Law and Order, and anything basically from the 80's. Gavin: How did each of you first take an interest in geek culture, and what were some of your favorite things growing up? Revan: I started to get into the culture back while I was in high school. That's when I first started getting into comics, Magic the Gathering, fantasy novels like Dragon Lance and seriously getting into video games. But honestly I think each of us had our taste of what is now geek from early morning cartoons. “The Transformers”, “Thundercats”, “He-Man”, “Spider-Man”, “The X-Men”, “Batman: The Animated Series” , “Superman” and more. I got into Dungeons & Dragons with my friends 1998 and it gave me an outlet for my writing that turned into some fun and very serious gaming sessions and its just snowballed from there. Malak: The first interest in the geek culture was playing D&D with my buddy Billifda. Which was 3.0 at the time and its really sprouted from there. I have enjoy many other role playing games since then. I loved things like Teenage Mutant Ninja Turtles, Thundercats, He-Man, and Ghostbusters. I grew up watching “Star Wars”, “Enemy Mind”, and “The Last Star Fighter”. A Guy Named Joe: The beginning really came about when my mother and I would would watch “Robotech” on TV. She liked it because it was soap opera like and I liked because it had giant robots! Mind you I was like four. That pretty much started my fascination with geekdom! Gavin: When and how did all of you meet each other and become friends? Malak: I have known A Guy Named Joe for the best parts of twenty two long and happy years. the two of use to play at my grandparents house every weekend. The two of us are still friends to this day. As for my relationship with Revan, he was actually an employee at a local gaming store the two of us were working at and we hit it of right of the bat. The D&D, the Star Wars, and the geeknessosity. It all just fit and here we are. Gavin: How did the idea come about to do a geek related show? Revan: Honestly Malak and I had been wanting to work on a project together for some time. I had been working for a local radio station and wanted to get some experience with doing a show and thought that doing a podcast would help get me the experience I needed. I pitched the idea of doing a podcast to Malak but wasn't sure on what we should talk about. Then lightning struck and Malak looked at me and said "we should do a geek show! We are both avid gamers and there are not many shows out there that talk about the things we love." 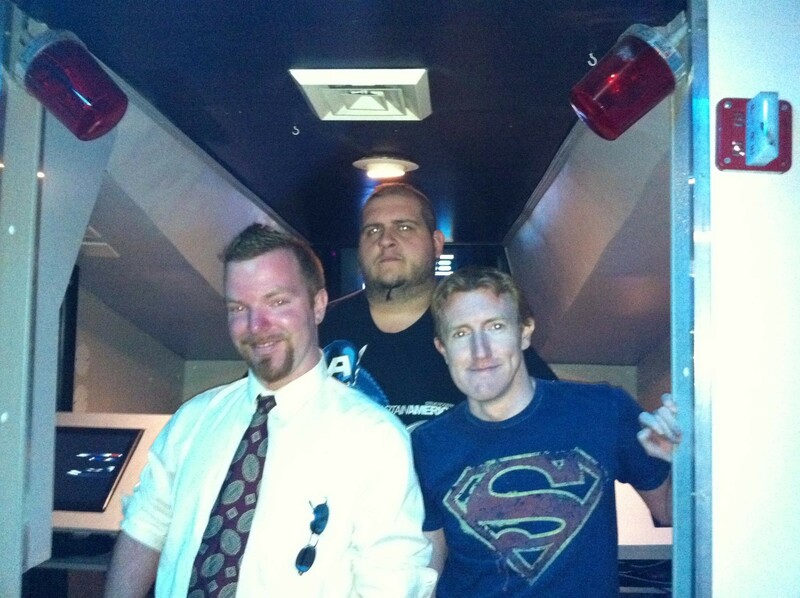 With that, Dungeon Crawlers Radio was born. Malak: Yeah It was a topic both of us were very passionate about, be Star Wars, role playing games, fantasy novels, comic books, video games, and movies. It just seemed like the right thing for us to do. Gavin: What made you decide to move to radio as opposed to continuing the podcast route? Revan: We started out as a podcast and still continue to release a weekly podcast on every Wednesday which you can get through our site, MyPodcast.com, or through iTunes. Our goal from day one was always to get our show on the air. Malak: It seemed like the next step, also I have been told I have a great voice for radio (and the face to go with out). We still do the podcast because we were asked why we stopped doing our weekly podcast. 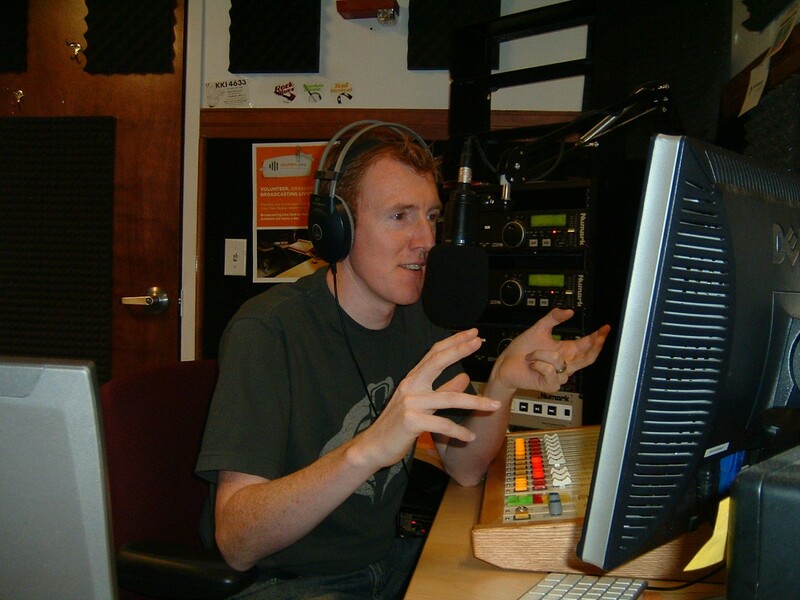 Gavin: Why did you choose to take the show to UtahFM rather than KRCL or KWCR? Revan: Originally I had pitched the idea to the radio station I worked for but they wouldn't do it. We even offered to do the show for free just for the experience and still they declined. Luckily a good friend of mine who also worked for the same radio station. 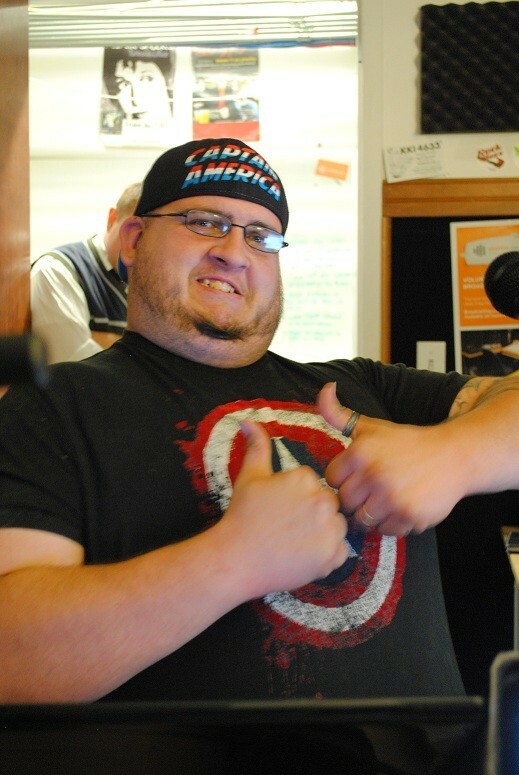 Drew Carillo, host of “Utah Caffiene” which is on after our show called me up one day and said, "Hey I just got on board with this great internet radio station. I know you've been wanting to get your show on air so you should check out their website and volunteer to get your show on the air." The rest is history really. 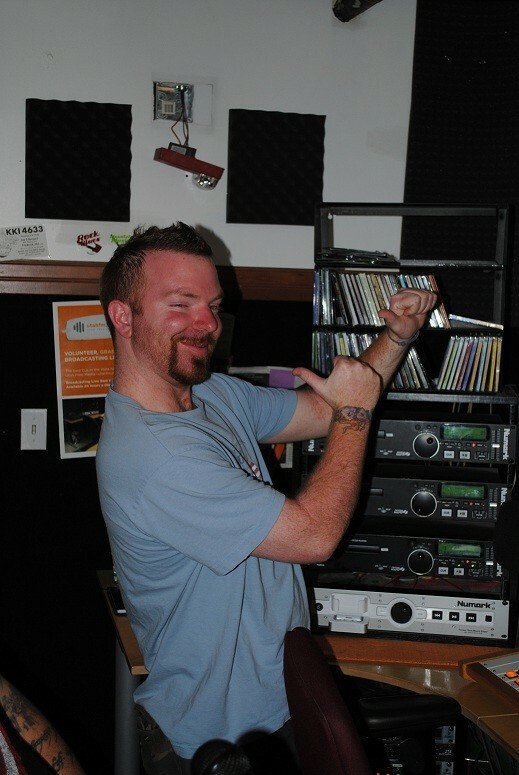 I was really persistent with the powers that be with UtahFM until we got our show on the air. Things worked out with UtahFM so we never checked into KRCL or KWCR because we got on the air, and our show hadn't been received very well by traditional radio. Gavin: What was it like putting together your first show, and what was the audience reaction to it? Revan: Well putting together our first show was a bit scary and nerve wracking to be honest. Neither of us had any experience at radio and like most things we just went for it and improved and BS'ed our way through it. When podcasting, if we screwed up we just started over or rerecorded what we messed up. Being live on the air you can't do that if you make a mistake everyone listening to you show knows it. The audience reaction has been great! Any time we run into someone that has heard the show they have nothing but great things to say about us and our numbers continue to grow. Even with female gamers and geeks. In fact, shortly after our first show while Malak was standing in line at a local grocery store a guy had noticed his Gears Of War tattoo and they started to talk about Gears when he the guy mentioned that he had recently hear a show about the game. 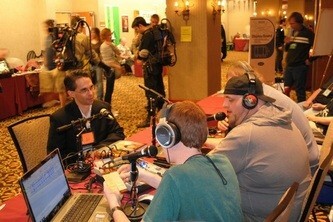 That the show had been a great show and had given really great information about the game. Malak asked him what show that was because he wanted to tune into it because he is a huge Gears fan. The guy shocked him by telling him the name of our show. Gavin: What's it like for you balancing out the topics and selection for every show and wading through the weekly news that comes out? Malak: Its pretty simple actually, most of the news stuff we leave to Revan. I focus a lot on movie and video game reviews but most of the time we just pick a topic while music is playing. Most of the time it turns out to be a better discussion than the stuff we had planned. 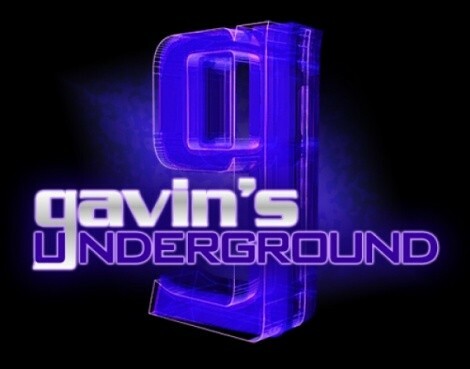 Gavin: How did you end up deciding to cover events, and what's it been like doing shows from them? Malak: It was a no brainer, Exposure! Flat out exposure. 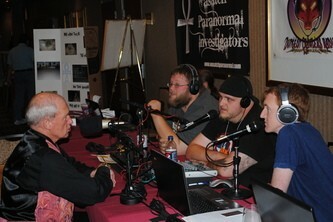 We figured that by doing as many events as possible we would gain a listener base and get us known. Revan: Malak is right, we figured that the best way to get our name out there was to do events at the local gaming stores, conventions, expos, and local events. We'd like to attend other events and are always looking for future events we can be a part of. Gavin: Are there any plans to expand the show or bring in new things to the format, or are you sticking with what you've got going for now? Revan: We plan to expand our show in any way we can. We have some really exciting prospects and plans for our show coming up here in the near future. We will be doing more interviews, we just recently had Brandon Sanderson the author who took over the late Robert Jordan's Wheel Of Time series, Paul Genesse, John Brown, David Farland, Dan Wells, and Tracy Hickman on our show. In October we will have R.A. Salavtore on our show as part of Wizards Of The Coast's Gauntlgrym Book Tour, and with that we have worked out something with Wizards Of The Coast to have other author's of theirs and game designers to interview on our show. Which for us is amazing!! Also our show has grown so much we added our third man at the helm, A Guy Named Joe on to the show which has only enriched our show even more and we are working on a way to make this a full time gig and open to any possibilities be they on terrestrial radio or UtahFM. 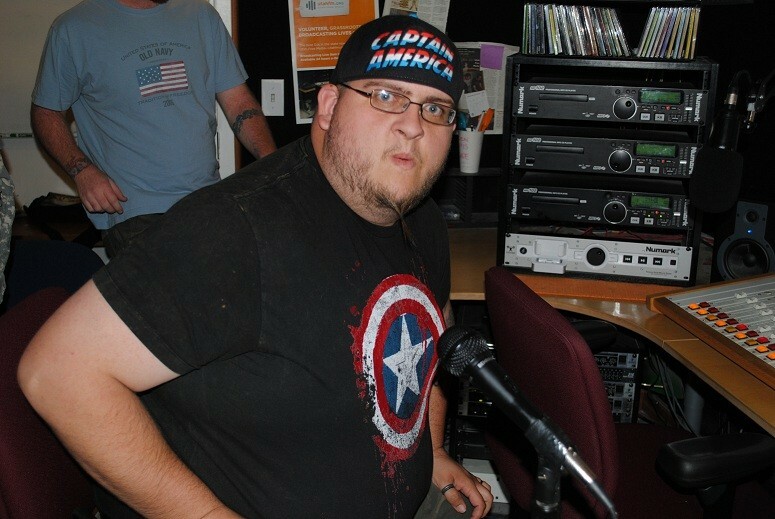 Gavin: Going local for a bit, what's your take on our local geek entertainment, both good and bad? Malak: I will start with the good, the geek community here its pretty strong, Amazing places to shop Hastur Games and Comics, Dr. Volts, Night Flight Comics, and Epic Puzzle & Games where geeks from all over the valley can go, socialize, and get their geek paraphernalia. Which brings me to the bad, being a geek is still a social blemish, we are still shunned by many because we like what we like. Revan: Malak is right it is still kind of a faux pas to be a geek. It is slowly becoming more and more acceptable. Gavin: Is there anything you believe people could do to make it bigger or better? Malak: I think every one has a bit of geek in them and getting them to recognize it for what it is and then it would be more culturally acceptable. For example, lets say you are a big sports nut, you love every type of sport out there and you always support your favorite team, wear their jerseys, never miss a game, ect... That is considered "geeking out". Sorry all you jocks out there but thats the truth. Revan: There are many types of geeks out there, be they the Comic Book Geek, The Video Game Geek, The Role Playing Geek, The Star Trek or Star Wars Geek, the Sports Geek, the Computer Geek, the Nascar Geek, and so on... Being a geek is just someone that is totally into something more then something else. I think that if we just accept we are all a geek in one way or another it would really make it bigger and better. Gavin: What's your opinion on our comic book scene and the books coming out of it? Malak: I think that has really grown in the past seven years and I think that the movies have a lot to do with that because suddenly these characters are cool and more recognizable accept for Wolverine he has always been a badass. Revan: I am going to have to disagree with my co-host here. I think comic books have always been a large part of our society. Comics have always adjusted to the things happening in our world to help us cope with the tragedies and craziness going on in our world. During World War II we saw Captain America fighting the Nazis. We saw many super hero titles show respect to the fallen victims and heroes of 9/11. I believe the movies have in some small way helped increase interest in some of the comic titles to the younger generation, but what I really think that has made such a dramatic change in comic scene is the fact that we have really talents artist and story teller that have grown up reading these comic titles and are now stepping up to the plate and pouring their heart on soul into these titles. Gavin: Do you see any of our localized game companies becoming a bigger name in the industry from where they're at now? Malak: I say that time will only tell on this one, it may or may not take a lot of time but it will eventually tell us. I mean hell, they just opened a branch of EA Games here in Salt Lake City, that's some pretty big guns in my book. Revan: Well you can expect a lot more exciting things to be happening with our show. We have R.A. Salvatore, author of the Forgotten Realms; Dark Elf Series with Drizzt Do'Urden coming on our show in October. We just had Tracy Hickman co-creator of the DragonLance Series and many other series back on our show again, talking about what happen at GenCON this year and plans to come back and we will have David Farland on the show as well. We are pulling in some really heavy hitters in the writing community. We have also worked something out with Wizards Of The Coast to have their writers and game designs come on the show. We plan on bringing in a lot more interviews both from talented individuals both in state and out of state. Future events with Broadview University, possibly a costume contest, a possible video game tournament is in the works, and so much more! 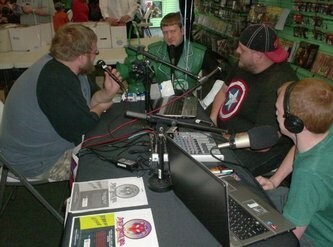 We are constantly looking for more things to do with out show and ways to help out the community, get our show known, and spread the Geeknessosity. Revan: Of course! We want to plug both our show and our podcast. 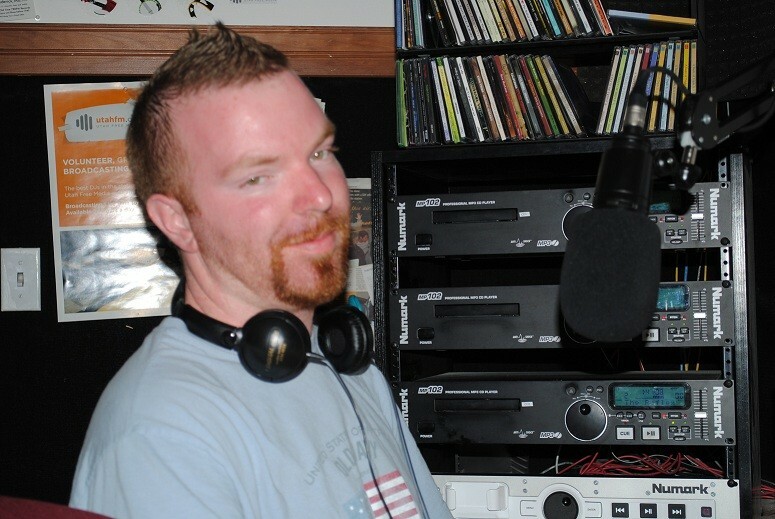 The show can be caught every Monday Night from 6-9pm MST on UtahFM, and our podcast can be downloaded every Wednesday night from iTunes, MyPodcast.com, or directly from our website. We want to plug Hasturs Games & Comics because really they are the best gaming store in the Valley. Dr. Volts and Night Flight Comics because they are the only real places to feed your comic book addiction! And finally we are putting together a Geek/Horror Convention next August so keep your ears open because this will be one spectacular event and we are working on making it a Convention to remember!